September 23 will be a special day for Vietnamese tennis fans because international superstars Carlos Moya from Spain, Nicolas Kiefer and Rainer Schuettler from Germany, and Gael Monfils from France will compete in Ho Chi Minh City in a one-day tournament only for them. 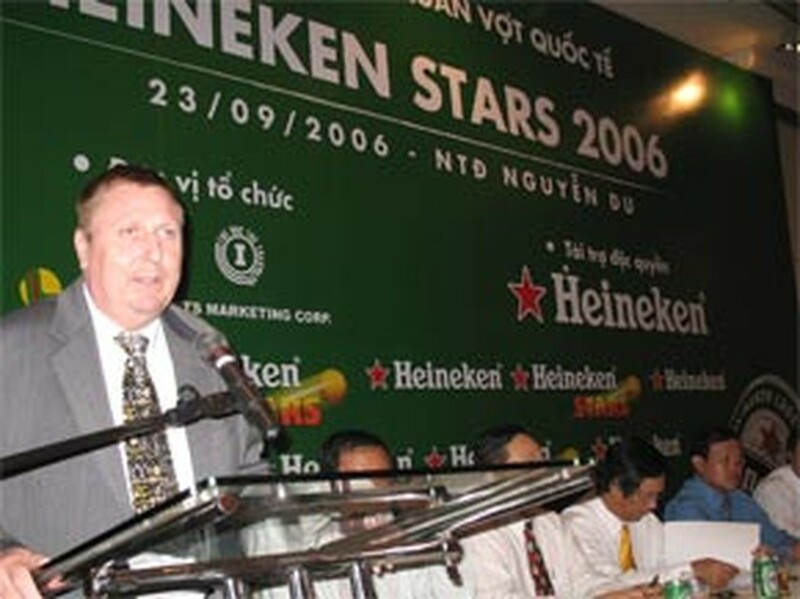 The Heineken Stars 2006 tournament will be staged at Nguyen Du Indoor Stadium in District 1 at 3:30 pm. After the first two matches, the two players left standing will take a 30-minute break before the final, the tournament’s technical director, S. Uthrapathy, told a Friday press conference in Ho Chi Minh City. The champion will receive US$40,000, the runner-up US$20,000 and the two others, who will play only one game, US$10,000 each. However, the organizing committee will not decide who plays who in the first two matches until next Tuesday, based on the four professionals’ current ATP rankings, said Uthrapathy, former executive director of the Asian Tennis Federation - one of the six regional associations of the International Tennis Federation. As two Germans will be competing in the one-day tournament, Mr. Peter Seidel, German Consul General in Ho Chi Minh City, attended the press conference to say a few words about them. 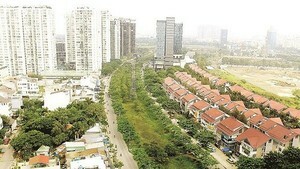 Besides their games, the four international stars will meet with Vietnamese tennis players and fans at the venue on the competition day and the day before. The organizers expect the two days will be a good chance for locals to get close to leading tennis professionals. Schuettler was born in 1976 and also turned professional in 1995. His highest ATP position was fifth in 2004 and is now 78th. Twenty-year-old Frenchman Monfils turned professional in 2004 when he ranked 801st position and gained his highest ATP position, 23rd, this June, after just two years. He currently ranks 31st. 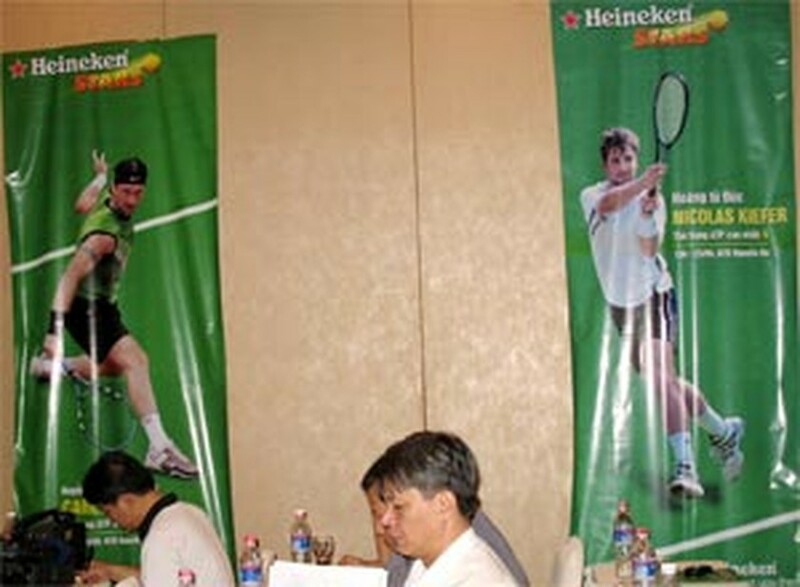 Heineken Stars 2006, the first-ever tennis tournament in Viet Nam for leading professionals of the world, is being organized by the Viet Nam Tennis Federation, Heineken producer Vietnam Brewery Ltd., and the local company TLT Sports Marketing. The Vietnam Open 2005, also staged in Ho Chi Minh City, drew internationals of lower rank than the four who are coming this time.